When I visited Italy many moons ago, I toured with a diverse group of people from the Union County area. We went all over the country—Rome, the Amalfi Coast, Capri—but what stands out to me the most is our visit to the Campania Region. We went to a mozzarella and ricotta factory there, where we sampled the creamiest and most flavorful mozzarella I’ve ever had. With a new location in Flatiron, Obicà claims to source their mozzarella from Campania several times a week. Upon learning this, I rushed to make a reservation at the brand new restaurant in order to try their cheese as soon as possible. I regret to inform you that Obicà did not live up to my expectations one bit. The place was packed on Friday night. I suppose that’s no surprise since the joint only opened the beginning of last week and they already have one location in the city that has received some acclaim. The dark interior was off-putting, but was made up for by all the restaurant personnel exclaiming “buona sera” as we entered. This restaurant must be authentic, I thought. I was wrong. 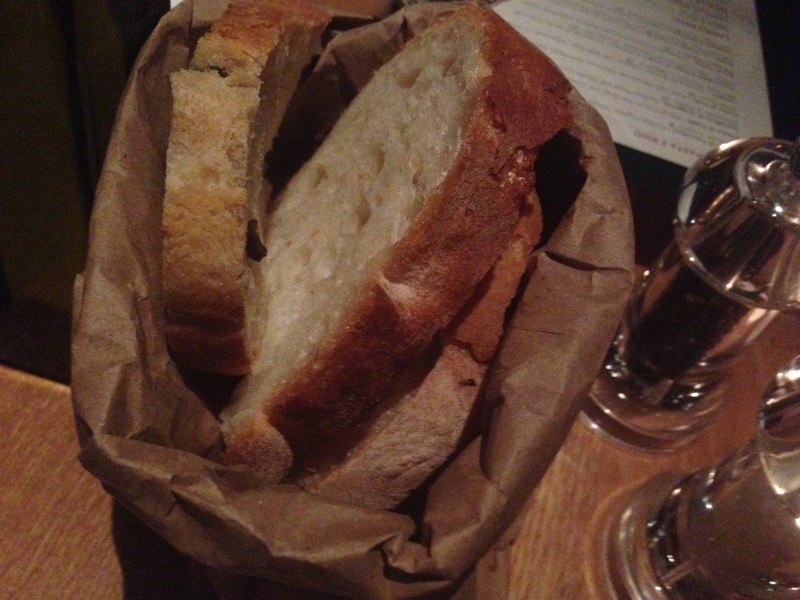 The only saving grace of Obicà is their bread, which is made in-house (and is, I’ll note here, free). The olive kind is forgettable, but the mild-flavored focaccia and the crusty, chewy Italian bread are winners in my book. Too bad the rest of the food, which is fairly expensive, paled in comparison. 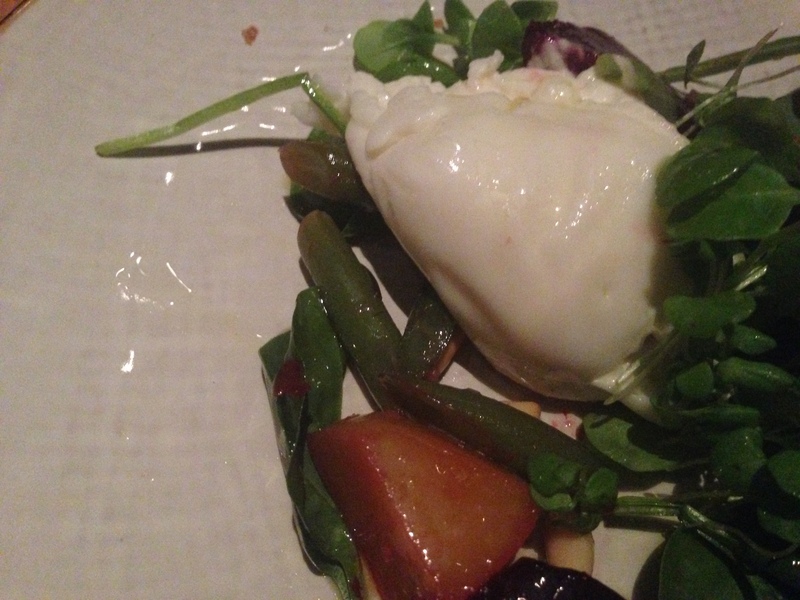 We started with the burrata salad, which comes with beets, string beans and pine nuts. I definitely enjoyed the pine nuts, but the burrata itself left something to be desired. Plain and simple: It did not taste like anything. Good mozzarella (and burrata, for that matter) is slightly salty and creamy and should register as “divine” to your taste buds. This did not. Disappointment number one. MDP got the lasagna, which was served partially cold, so I’m not even going to mention what it was like or what it came with. Massive fail. Disappointment number two. I ordered the salsiccia e friarielli pizza. The crust was delicious. Obicà uses PETRA flour and lets the dough rise for 48 hours. I think this makes a difference. But the toppings were not very good. 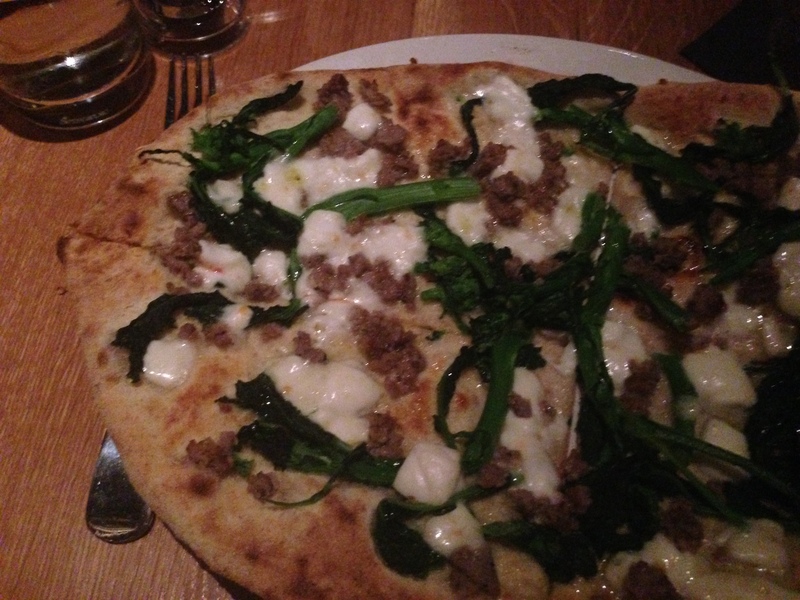 The sausage was not flavorful and the broccoli rabe (rapini, according to their “authentic” menu) didn’t have the same punch it usually has. Disappoinment number three. We didn’t stick around to check out their dessert menu, since we figured we were already paying a boatload for a dinner neither one of us enjoyed. Why add to the disappointment? We paid and went across the street to Maison Kayser, which is decent but not a place I’d recommend either. If you’re looking for excellent burrata, go to Palma. If you want fantastic pizza, go to Emporio. Take the N/R to 23rd Street and walk south a few blocks.